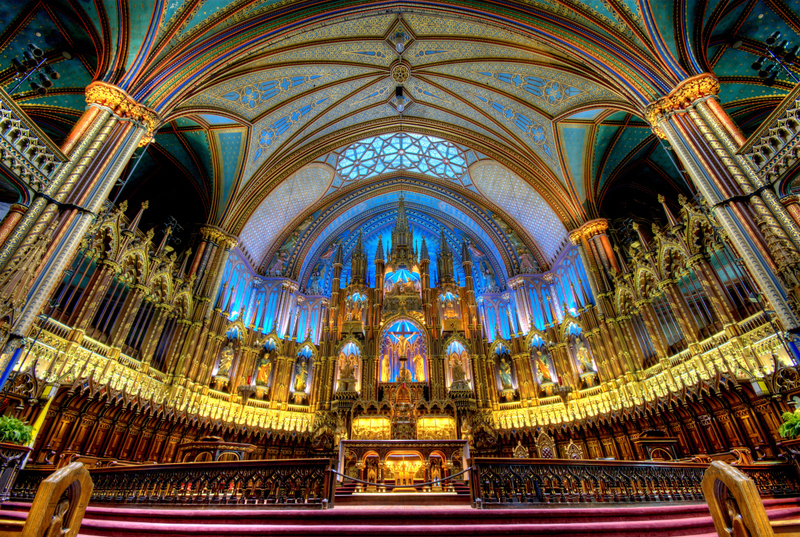 Built in the mid 19th century, via local donations, the Notre Dame Basilique is incredibly beautiful. In such a place, is it easier to feel closer to God, or not? So, as seen on CNN, and reported by the LA Times, Joe Biden is trying to revision and recast Iraq as one of the current (his) administration’s greatest successes! Naturally, Larry King didn’t press Biden on this demonstrably absurd position, though it would have been easy to do so. The troop surge, for which the present administration should be eternally grateful, wasn’t its idea. In fact, as numerous videos demonstrate, our current President opposed it. Strongly, and obviously, mistakenly. OK, fine. We all make mistakes. But let’s not attempt taking credit for the foresight and fortitude others had, when we ourselves staked out a diametrically and consistently opposed position. Maybe Biden is working on a stand-up routine? Must be, because he surely can’t be serious. In his State of the Union Address, the President referred to the “overwhelming scientific evidence on climate change.” This, of course, uses the new PC way to speak of Global Warming, and it makes sense to do so, since some of us in Asia, Europe and the United States are freezing. “Snow, heavy in some locations, continues to fall from West Virginia and southwest Pennsylvania eastward to the Mid-Atlantic Coast. Look for the snow to wind down from west to east late this afternoon and early evening putting the final touches on this historic event. And now the UN’s IPCC has to explain flimsy data on Himalayan Glaciers and grossly inaccurate reporting on Dutch sea-levels. Please let’s reduce our environmental impact across the board, but let’s also dump the politically motivated “global warming” propaganda. I’m sorry, I mean “climate change”. How much jet-setting money have we wasted on this already? FYI: the evidence is indeed overwhelming. Climate IS change. Always has been, always will be. It’s the attempt at using this as a political motivator that’s truly beyond reason. You are currently browsing the BillKeane Perceptions blog archives for February, 2010.